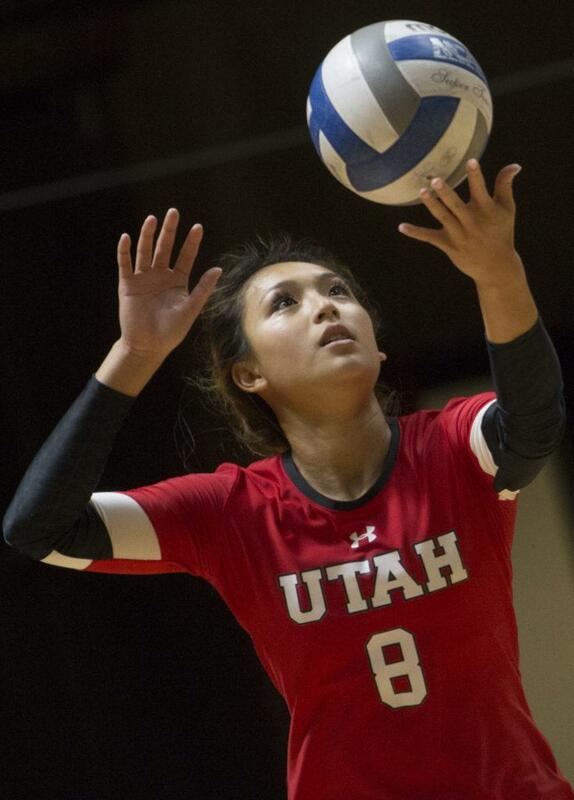 Nearly 3,000 miles away from the place she grew up, Hawaii native and starting sophomore setter for the University of Utah women’s volleyball team, Bailey Choy, has made Utah her second home. Launiere emphasized the impact that Choy has had on the team’s success. When asked if she was the reason for the turnaround the program underwent, Choy humbly declined. Instead she attributes it to the teams’ versatility. Currently ranked second in the Pac-12 Conference and No. 10 in the nation, the Utes are continuing to make a name for themselves. Coming off road victories to then ranked No. 9 Washington, the conference preseason favorite, as well as Arizona, something the Utes had never done in program history before, Choy has her team in the hunt for a conference championship and primed for a deep run in the NCAA tournament come December. A business major off the court, Choy fittingly is all business on the court with her mature and stoic demeanor. Choy’s level of maturity has been built up over the years by her coaches, and she believes it’s because they trained her to have the right mentality. Growing up in a family of volleyball players, it’s evident to see where Choy gets her passion for the game. Her father, Barney Choy, coached her growing up. Despite him being “very old school” and constantly pushing her to improve her game, he wasn’t the only coach Choy had during her young volleyball career that wanted to see her succeed. Robyn Ah Mow-Santos, a former setter for USA’s Olympic team and current head coach at the University of Hawaii, coached Choy during her club career. She’s someone that Choy calls her “auntie,” though not related by blood, as well as her sports hero. “She’s so knowledgeable. She can tell you where the hitter is going to hit before the play and where the setter is going to set before the play,” Choy said. With influences like her dad and Ah Mow showing her the ropes and sending encouragement her way, Choy has been able to compete at a high level of play while helping the Utes see positive results. Kyle Garahana is a Senior Communications student at the University of Utah and a current sports writer for the Daily Utah Chronicle. He transferred from Salt Lake Community College where he earned an Associate of Science Degree in Speech Communication. 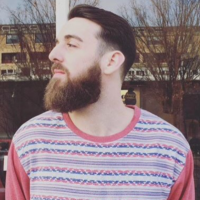 When Kyle is not watching, covering, or playing sports, he enjoys attending concerts and shows around the Salt Lake area as well as spending time with his family and friends.